Looking to strengthen your remote team? Virtual team building is a fantastic and easy way to boost team productivity, communication, trust and cohesion. Remote work is great. It allows for flexibility, diversity of ideas and qualifications, and more efficient time use. But what about the emotional connection that employees of co-located companies form over water-cooler chats and smoking breaks? Virtual work teams that lack a strong bonding can leave employees feeling undervalued. It can hamper productivity and make it difficult for team members to contribute effectively. What does this mean for remote teams? Simple. Virtual team building is essential. That’s not all? I have also added some tools, tactics, and strategies that you will need for implementing virtual team building exercises successfully. Use the links below to jump to any section that holds your interest. What is Virtual Team Building? Who Benefits from Virtual Team Building? What Do You Need for Virtual Team Building? Virtual team building is a method to bring remote teams together and create a work environment that mimics a co-located office environment. It allows the entire team to become familiar with one another and create meaningful relationships that leave all members feeling more valued and satisfied. The physical distance of remote work can quickly turn into emotional distance, so it’s important to create a comfortable team culture that virtual workers can rely on. Virtual team building consists of several strategies, games and activities that are meant to bring more human interaction to virtual work. Strategies include ice-breaker questions as well as video and non-video based games and activities. These strategies lead to closer-knit teams and heightened levels of collaboration. Virtual team building not only improves team effectiveness, but can also induce laughter and comic relief to the workplace. Are you in the process of building your remote team? Ever been unsure of where to start when it comes to team bonding? Getting team members to open up in a game or activity can be tough, hence, icebreakers. Icebreakers are a fantastic way to let team members dip their toes into the bonding experience without feeling embarrassed or insecure. You can start with 12 surface level questions. These questions are good for new online teams that are just getting to know one another. 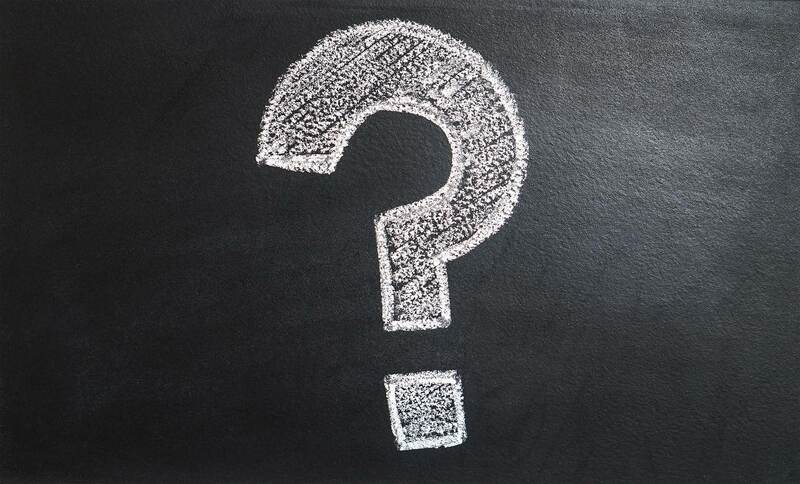 They allow for answers that are opinion and preference based, meaning employees are less likely to feel judged on their responses to these questions. You can dig deeper with 12 questions that require employees to open up a bit more and be vulnerable. These questions allow team members to shed light on their goals, successes, struggles, and needs. They also break the surface of team building and influence other members of the team to be vulnerable. Do you want to stay the same age forever? If yes, what age would that be? If you could have one superpower, which one would you choose? Which season is your favorite? Fall, Winter, Spring, or Summer? What item or gadget are you currently dreaming of buying? Do you prefer large group hangouts or small one-on-one hangouts? Would you prefer to go to the mountains or the beach? If you could live anywhere on this planet without having the leave anyone or anything behind, where would you live? Which historical figure would you want to meet? What aspect of your personality is the most valuable to those around you? Recall the best day of your life. Why was it the best? Recall the worst day of your life. Why was it so bad? If you could add or improve upon one characteristic of your personality, what would you add/improve? Who has been the most influential person in your life thus far? When considering what makes you feel engaged and dedicated at work, what three characteristics do you look for in a work environment? Name few things in a work environment that would compel you to look for a new job and leave? What qualities and skills does a good boss/manager have in your opinion? What is one of your biggest goals within your personal life? What is your biggest accomplishment within your academic or professional life? Now that you have the conversation going, you can move to games and activities to strengthen your team cohesion. Team building games and activities require a little more effort from virtual team members than do icebreakers. However, once employees have opened up through the icebreaker questions, they’ll be more inclined to participate in games and continue building friendships within work. I have listed 7 virtual team building ideas that require a video element. Most of these require the entire team to be online at the same. While this may be difficult for virtual work teams that are spread across multiple time zones, many of these activities allow team members to take videos and upload them to a workspace channel where everyone can view them. A study by Remote.co found that, “87% of remote workers feel more connected through the use of video conferencing.” So if you have the opportunity to use video while team building – do it! I have listed 8 non-video virtual team building ideas that are great for online teams who are in different time zones or can’t meet at the same time. Many of these activities will leave those who work remotely feeling valued and treated. One of them is also sure to prove adventurous! Team meetings are essential for any company, whether it is location-based or remote. While team meetings are often focused around work, it is important that virtual work teams use them as a tool for building team cohesion. Because team members who work remotely aren’t able to take group coffee breaks or lunch breaks like those in co-located teams. The one thing that has been going great lately? One thing that can be improved? One thing that’s been going on with them personally? Be sure that the team leader or manager also answers these questions, as it creates the feeling that all team members are equal. Such questions not only let employees discuss and improve work, but it gives virtual team members a chance to share a bit about their current lives and empathize with others on the team. Make sure that the entire team is using the video element of video conferencing. That way everyone can read each other’s expressions, feel present, and get a true sense of what is being said. Give employees time to prepare beforehand so they can give some thought to their answers. It may also be beneficial to set a time limit for each employee so that the meeting progresses forward and stays focused. Suggest that each employee bring coffee, tea or another beverage of choice to the online meeting so it feels more like a coffee break. A live remote office space gives remote employees the office feel without physically being in an office. At the beginning of the day, the first team member to clock in starts a video chat that any team member can join. As other members come online, they can join the video and essentially join the workspace. The video chat room is a mimic of the office – It is a place where all members are working diligently on their own tasks. Distributed team members get to see each other hard at work and are inspired to feel focused and productive. Virtual workers can have difficulty getting into the workflow or feeling motivated. A virtual office, however, gives employees a constant reminder that work and productivity are their focus. This virtual team building exercise requires that team members virtually open their homes to one another. Think House Hunters or MTV Cribs. Jesse Sussman at MuseumHack thinks this is a “hilarious” way to get to know your remote team members. Each team member will take a short video showing off their home and some of their favorite things. This activity allows team members to get to know one another on a more personal basis, and can lead to feelings of welcomeness and friendship. This game may be better suited for small teams, but it’s surely a great way to get the personal feels going. Another way this can be done is by allowing one team member to show off their home at the beginning of each week’s work meeting. 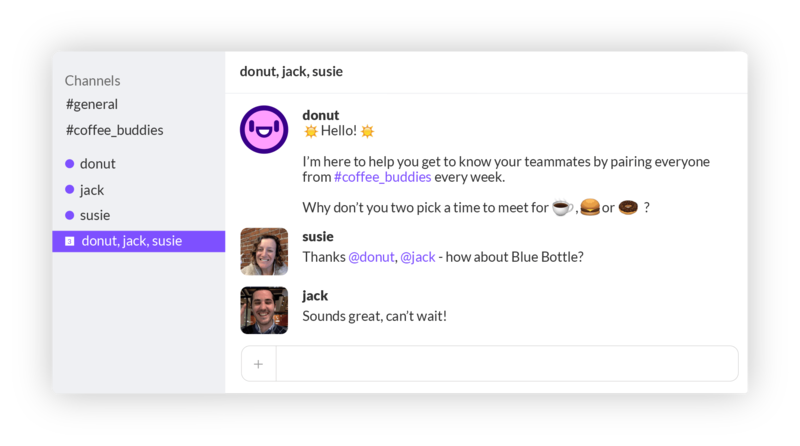 Donut is a Slack extension that can take virtual team building to a new level. Donut pairs up team members to converse with one another every 1-4 weeks. These virtual meetings can last anywhere from 15-30 minutes and the aim is to bond employees on a one-on-one basis through non-work related conversations. Want to make it even more effective? Virtual team members that live in the same city can opt to meet up for lunch or coffee instead of conducting a video call. Donut makes distributed team building simple and can create some of those productivity-boosting relationships that I mentioned in the beginning of this article. 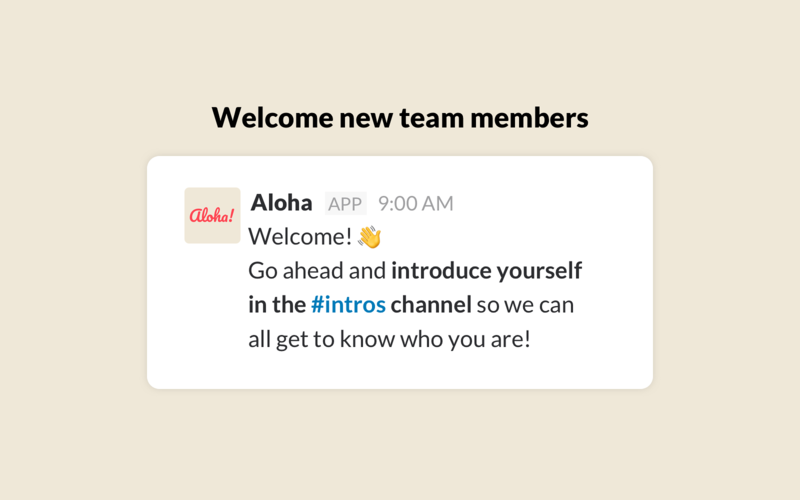 Aloha is another slack extension that welcomes new employees and urges them to introduce themselves to the team. For your remote team, you can use Aloha as part of your onboarding process. You can add them to local channels like #lunch or #movienight where members can discuss and decide which movie to watch on group movie night. Want to learn more about Movie Night? See point number 7. One of the downfalls of distributed teams is that virtual team members are unable to attend all company events. This can leave virtual team members feeling left out, and can also make it difficult to see how their work is contributing to the company. Take videos of company events and post them on the employee channel. Say your company is going to set up a booth at an event with a goal to obtain more clients and connections. Take a video of the event or provide a live video showing virtual team members what is going on. If you achieve a large success or make a great partnership at the event, be sure to celebrate it on the video and congratulate contributing team members on their hard work. This will allow employees to see the work and progress that is taking place in the company. It also brings an element of excitement and reward to the remote workplace, and can boost team morale. This strategy doesn’t just apply to large work events. You can provide a post-call debrief with a client, a video recap of an in-person meeting, or make a video outlining important changes that are taking place within the company. Videos are a great way to connect your team with the company’s goals and objectives, and remind team members why they do the work that they do. It also keeps the whole team up to speed, which is beneficial for productivity and communication. Many of us played a game similar to this in school growing up. In this virtual team building game, team members are given the scenario that they are stranded on a deserted island with seven objects, but they can only choose three. Make these objects as obscure and strategic as possible so that members are challenged to really think and plan. Then split the team into groups and allow them to collaborate on which items they want to choose. Once all collaborations have finished, get onto a team video chat and discuss the results. Examples of items are a bag of fruit and vegetable seeds, a pocket knife, a 100 ft rope, a bed sheet, a bucket, 2 liters of kerosene, a lighter, and so on. Activities like this naturally make team members see each other as teammates and can create pride, healthy competition, and excitement within the team. Such games also demonstrate how working together can yield better results, and can help virtual workers learn how to collaborate in a virtual setting. When team members are able to come together for a non-work related purpose, they tend to relax and open up more. Hosting a movie night every so often is a great way to get the team together to do something fun outside of the virtual office. Stream the movie through a video conference call and keep an instant messaging chat box open so team members can comment and make remarks during the movie. Experiences like this give remote employees something to bond over and joke about later on. Plus it forces team members to take a little down time and relax. This strategy is a great way to show employees that you value their hard work. Virtual team members rarely get to experience the office perks of company-provided lunches, coffee, and team get togethers. How does a coffee session change that? Each employee will be sent a small gift card to a coffee shop in their area or their favorite coffee shop. Employees are then encouraged to get out of their home office and work remotely in a new upbeat environment for the day. Each employee will snap a photo of themselves working at the coffee shop and will post it to the team chat group. This strategy can also be used for virtual meetings, which is a lot of fun. Team members designate a time to virtually meet while each of them is at their chosen coffee shop. This makes it feel as if a team meeting is being conducted at a specific location outside of the “office” and can let remote employees feel some of the perks that office employees often get. Employee calendars typically include work events and deadlines. 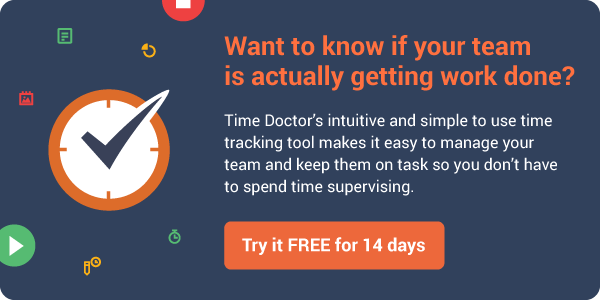 But – What if work calendars included more than work related information? Remote employees often miss out on the chance to chit-chat about personal matters with other team members, such as family, personal events, and hobbies outside of work. What if work calendars allowed team members to add personal events and goals to the agenda as well? There are several app options out there like Eventbot Calendar that have turned this joint calendar idea into a real thing. Team members can communicate personal messages of encouragement or congratulations, and may even realize that they have more in common than they thought. It also lets people know when team members will be unavailable, which is beneficial for managing communication. Facilitators can set a gift price limit and assign each team member a person to send a gift to. This can be arranged during the holidays or just for good fun. Even better, for teams that are dispersed internationally, encourage team members to buy something that is specific to their country and culture. This will not only make the gift choosing and receiving unique, but it will provide a little bit of insight about the cultural differences that exist within the team. Gift giving not only gives employees something to look forward to, but it allows team members to bond and feel thankful to one another. Is your team using Slack or something similar to communicate? Be sure to create a channel that is dedicated solely to random conversations and sharing. Employees can share things like quotes, stories, and photos of their animals. This naturally provides teams with conversation starters and allows teammates to get to know each other’s personalities and personal lives. It also allows teams to bond without having to delegate time to virtual team building. Think of it as a team building activity that employees have constant access to. The personal facts guessing game is a great way to learn one another’s interests outside of work. A sheet with a list of personal facts is sent to each employee. Next to each personal fact there is an empty column where each employee will guess which team member the fact belongs to. Not only can this icebreaker game be hilariously funny, but it is a great way to develop team cohesion and camaraderie. Once all guesses have been submitted, an answer key will be provided so that team members can see how well they guessed. This activity can also take place on a group video chat. The facilitator will have the sheet open on their computer and will share their screen while employees try to guess the answers. As each answer is guessed, the facilitator can fill in the empty column. Don’t have much time for team bonding at the moment? Picture sharing bonds the team with little effort. It can facilitate laughter and surprising responses that will leave employees feeling happy and connected. In picture sharing set aside designated time, perhaps at the beginning of each meeting, for a team member to share one personal photo that is unrelated to work. This photo can contain pets, hobbies, gadgets, family members, etc. Then have the team member explain the photo. Allowing team members to share part of their personal lives makes teamwork more fun and can bring a new element of friendship to the workplace. Remember the fun and adventurous activity I mentioned earlier? Welcome to outdoor scavenger hunts. Scavenger hunts aren’t just for co-located teams. Online teams can participate in them too! Create virtual teams and send each team an identical list of tasks to complete. Team members can then divide the tasks amongst themselves and stay connected while on the hunt through instant messaging and speaking on apps like Voxer and WhatsApp. Each task completion must be accompanied by a photo of the team member completing it. Have all teams submit their photos to the company chat group. Getting a stranger to do a yoga pose with you, taking a photo of your reflection in something other than a mirror or window, wearing a funny hat throughout each task, and so on. You can create the scavenger hunt yourself, or you can use an app like GooseChase to facilitate it. Bringing laughter to the remote workplace can be challenging, especially when team members aren’t familiar with one another. By adding comic relief to the team not only will your team enjoy work more, but team members will feel more relatable to one another. Similar to the Deserted Island Scenario, scavenger hunts allow team members to collaborate with one another, while also letting them delegate tasks and utilize each other’s strengths and skills. Collaboration on fun tasks can also boost team spirit! Want to really bond with your team? Team meetups may be more more costly, but the networking, team cohesion, and business ideas that can result from them are priceless. A team meetup can entail a small weekend in a central location, or it can be a large event or trip that all employees get to embark on. Giving team members the chance to communicate in person with their virtual coworkers is a great way to boost team spirit and make team members feel a sense of community. As mentioned earlier, employee productivity increases when an employee has a friend at work. For internationally distributed team members, cultural differences can be difficult to understand or grasp, however meeting in person can change that and make your team stronger than ever. It is also beneficial for the managers and owners of the company, as they are able to better grasp a sense of who their employees are, and will make it easy to start conversations when work is back to normal. Whether your team is partially remote or fully remote, virtual team building is essential in building a strong foundation for your company. This means a lot of companies are failing to do an easy task that can have massive benefits. Virtual team building creates a support system for remote members. It also improves the onboarding process by making new team members feel welcomed and excited. Many of the games listed above give teams a chance to collaborate on tasks, which is essential for innovation, productivity, and efficiency. 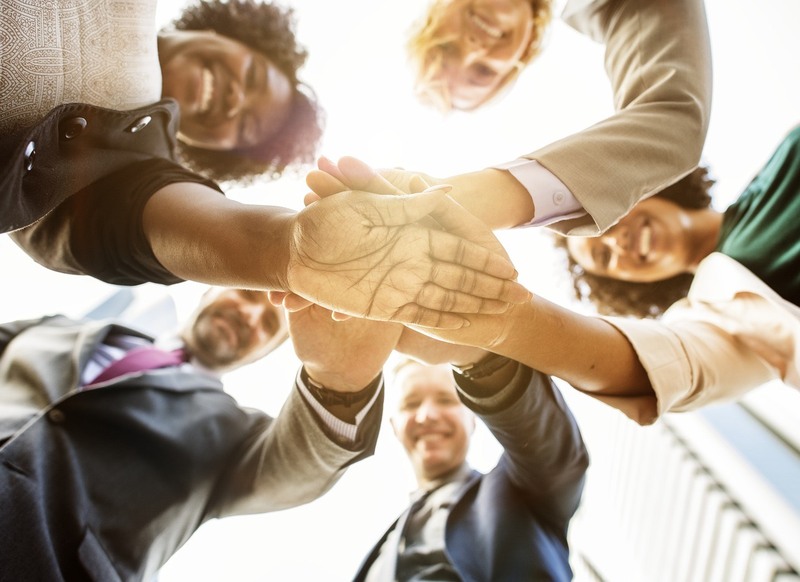 Collaborating and problem solving is also a great way to build an atmosphere of trust between team members, meaning stronger relationships and higher employee satisfaction. Team building is not only enjoyable for employees, but it’s fun for you too. Through virtual team building games and activities you are able to better understand each employee’s strengths and weaknesses. This makes managing and delegating tasks more efficient. You are also able to build a relationship with each employee and learn what each employee needs from you as a leader. Virtual team building doesn’t require much, but there are a few things you will need. Designate a leader to facilitate the team building exercises, such as a project or team manager. This person should encourage team members to participate and should communicate clearly the tasks and activities that will take place. They will be responsible for managing the tasks and events that will take place. Set aside dedicated time for virtual team building. It is important that each member gives their undivided attention during team building activities so that members don’t come off as uninterested or uninvolved. Considering that virtual face-to-face contact is essential to many of the activities that I have listed above, it is important that you get a tool that allows you to screen share and collaborate with team members. That way, everyone can be present and contribute to virtual meetings. The tools listed below are fantastic for virtual team building and can make the process seamless. Interested in other tools that are essential for remote teams? We’ve got you covered here. 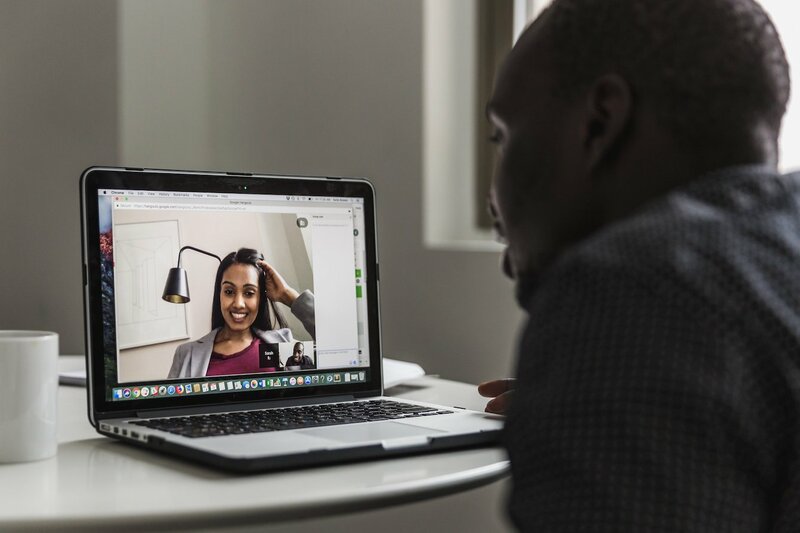 Remote teams may not get the same face-to-face contact that collocated office employees get, but that doesn’t mean they have to be disconnected from one another. So you see, bonding is essential to form a cohesive team! Virtual team bonding increases productivity, efficiency and collaboration within remote teams. 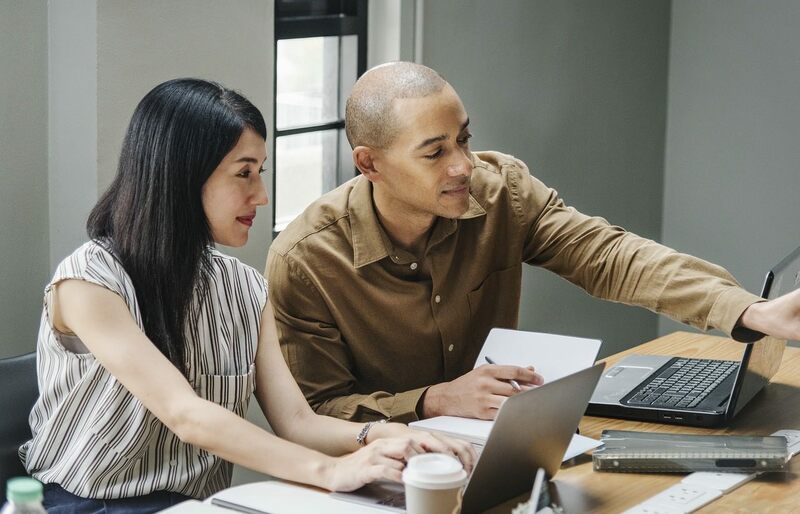 It makes employees feel connected and valued, which in turn makes them highly dedicated to their specific tasks and the organization in general. 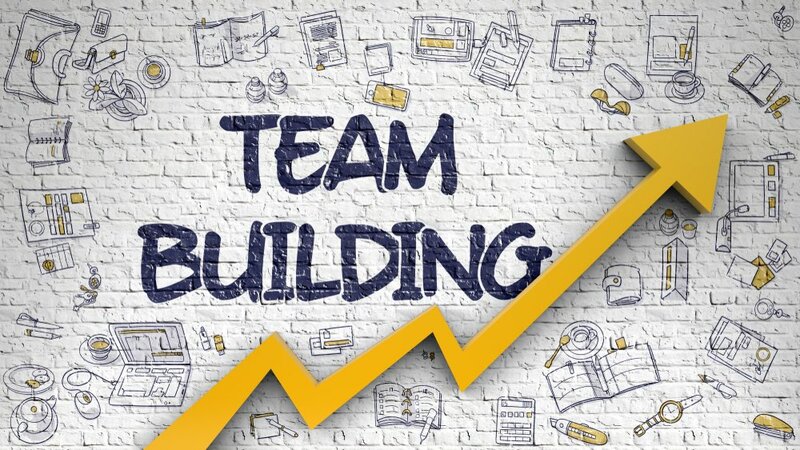 Team building activities allow virtual team leaders and managers to become familiar with each employee’s talents and skills, making for more efficient task delegation. Managing remote teams can sometimes be tough for virtual team leaders. Want to improve the way you run your remote team? Check out 15 Rules to Live By When You Run a Remote Team or 25 Tips to Help You Manage a High-Performing Virtual Team.